Two Mormon missionaries are arrested and placed on trial for preaching in the small town of Marysville. Attorneys and best friends Thomas Bryant (Andrew Lenz) and James Radner (Brooks Utley) stir the town into a frenzy when they must take opposing sides in a court battle over the validity of the missionaries' religion. When tragedy strikes the Bryant family, Thomas must question his own beliefs as his faith in God is put to the test far beyond the trial. based on the book by author A. Melvin Mcdonald (former U.S. Attorney for ronald Reagan), Day of Defense whispers that Americans may still be dealing with religious intolerance. I read the book numerous times on my Mission and I'm very suprised about the other review that said the book was better. *gasp* The book had no story at all. The movie had a great story and a reason behind the trial. If you've ever lived outside of Utah or been on a mission you know what I'm talking about. I couldn't see the ending any other way. I've spent time in the Bible Belt and people act exactly like the movie portrayed. It was very good for what it was. I have always loved the book it helped in my conversion. I was excited it was now in a movie. There were several unnecessary parts added with no relevance to the book. The Missionaries were never really able to respond to the prosecuting comments and frankly there were very few points made pro LDS when they finally did get their chance to speak. The movie had 1.5 hours to uplift and bring forth many truths, sadly, less than 15 minutes was given to this! The end was the most disappointing. I even commented to my husband that it was almost as if an anti mormon wrote the movie. The ending decision determined that the LDS Church was not Christian. The movie was not uplifting, it was negative and very depressing. When I read the book, I finished it KNOWING fully that the Church was true. This movie missed an excellent opportunity to do the same. I find it difficult to believe that the author of the book is ok with this movie. Do NOT waste your money nor use this movie as a tool for teaching someone about the Church, use only the book, it is excellent! I really enjoyed the touching points in this film. Having a family of my own and living on the east coast outside of Utah I can understand the issues that happened with the missionaries and the attorney. It reminds me a lot of what Mitt Romney is going through with his presidential candidacy. I have read the book and was expecting a good movie and it was far of what I expected. The acting is not good and the story is confusing. We were watching the movie with one of my daughter's friends that is a recent member and we had to stop to explain to her and even to our children several times because the facts where confusing. Originally released in theatres in 2004, Day of Defense was finally released to DVD in 2012. There was probably a good reason for the delay. 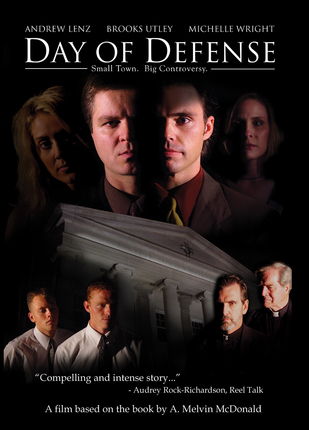 Day of Defense is the story of a new set of missionaries sent to a rural town. Being unfamiliar with the Latter-day Saint faith, the missionaries are put on trial which tests their beliefs. Because of this story, much of the film is each religion trying to prove that it's the correct church, which only results in bashing one another's beliefs. The movie is like a beginning student film (horrible acting talent, odd transitional scenes, odd plot points, with low audio quality). Perhaps the worst part of the film is that the audio dubbing is delayed from what is presented from the actor's lips (think Asian Martial Arts movie). At points it was so bad, I had to turn on subtitles. Overall with the quality of the DVD, the message from the storyline, and the way the film was presented, my suggestion is that you may want to skip this flick. 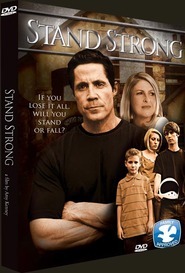 There's plenty of other movies that are worth having in your LDS Film library. I just finished watching Day of Defense and I was very impressed with it! I thought the story line was very realistic with all of its small town frustrations, temptations and religious bigotry. I found myself rooting for the Elders when before this movie, I didn't even know what an Elder was or much about this particular faith. Hats off to the actors for giving us well developed and robust characters. Another part of this dvd that I really enjoyed was the music and the extras especially the behind the scenes! I will never in blazes understand why some Latter-day Saint filmmakers, in making their films, sometimes choose to include lust or suggestive scenes in them. In a scene in this film, a young non-LDS woman teases two missionaries by flirting (nothing wrong with that), but then she takes the missionary’s hand and runs it along the skin of her exposed top/inner thigh. Then she walks away, swaying her middle section, proudly flashing her exposed tattoo on her exposed lower back. Could the LDS maker of this film have made it without such a scene and still make its point some other way that would be just as effective? The answer is crystalline clear: of course he could have. Then why the heck not? Some will scoff what I’m typing here; even in the active ranks of the membership of our own church, chastity and modesty are sometimes mocked. I have heard it at church socials, seen it in responses to reviews by concerned Saints, and seen it now & then in LDS cinema. Still, others who follow a living prophet and the values given from a loving God will simply not allow into the walls of their homes a video that will needlessly ambush them and their children with foul content. Such as in this film. Is it a good film? I thought so! That is just my point here—the needlessness of polluting a good thing with spice from Babylon. 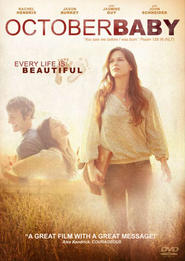 There are several enjoyable films available at Deseret Book. This is not one of them. Other than the music by some of my favorite artists, there is little to recommend here. It was painful. And I'm being kind. 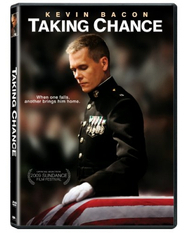 I found this movie very heart felt and dramatic with some great music. 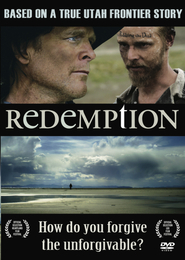 This isn't your average "Mormon" film as there is some intense arguments about religion and it is an intense drama.